Woolwich Ferry does The Scream…. Never mind that its not working, there’s issues with docking and a hi-tech mooring system. But surely everyone can manage somehow without the boats being in service, because well…… they’re not in service are they? Not when the ferry’s alarms suddenly decide to scream the loudest most ear piercing possible noises people in Woolwich have ever heard. Despite numerous complaints it seems TfL were unable to stop the alarm screaming completely unhindered for the best part of a day…. Now the subject itself in question. That screaming banshee of a ferry down at Woolwich! The ferry’s alarm systems began their marathon day at the early hour of 7am. It was Saturday 9 February, a day when the world usually takes a little longer to wake up. Without a doubt most had thought it was just a temporary blip which is why barely anyone tweeted before about 10 am. Anyway everyone was probably fed up with the ferry because it didnt seem capable of living up to its previous reputation as a reliable river crossing. 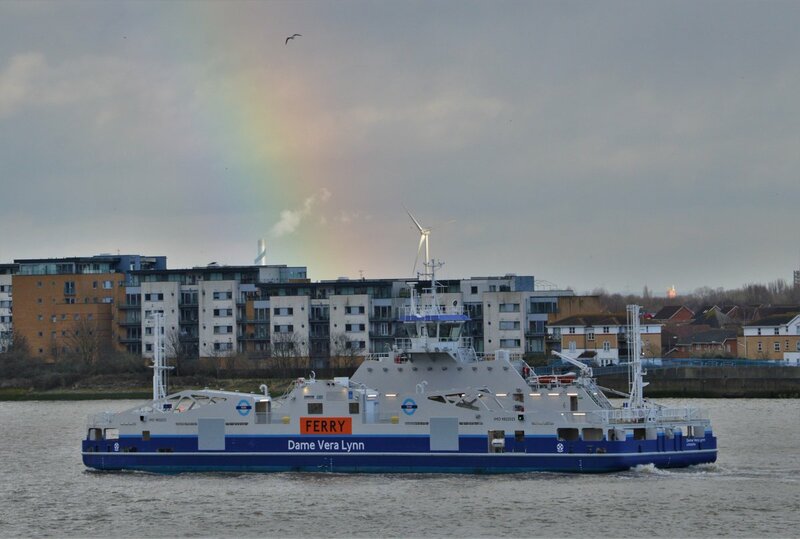 For all everyone knew it was probably part of the ferry’s ongoing tests….. It seems three hours was the most anyone could bear, beyond that it was basically just torture. Its just extremely surprising no one at TfL or the ferry thought to take a hammer and silence the alarm immediately. Everyone who works or lives by the river or near a port certainly knows ships and other vessels blare their sirens loudly, its all part of that world and it can be tolerated in reasonably short doses. Its not as if captains want to toot their horns continuously for a whole day – which is why no-one pretty much takes any notice. This however was taking the biscuit. And people very much minded it was happening. TfL didn’t seem very capable of sorting the problem as soon as it had begun. Some tweets suggest the source of the noise was from one of the ferries rather than the terminals. @tfl warning siren from Woolwich Ferry driving us all mad. Please send someone to turn it off! @TfL ther has been some alarm going off for hour now at the Woolwich ferry, is this the swan song before you just set the whole thing on fire and give up ? @tfl @TfLRiver PLEASE can someone come and shut off the Siren that has been coming from the closed Woolwich Ferry since the early hours of the morning. Slowly driving all the residents of Woolwich Arsenal mad! @tfl the sound pollution from that constant siren on the Woolwich Ferry is unbearable. Send someone to turn it off before we all go mad! Dear @tfl I just pass the roundabout near the Woolwich ferry and the noise is massive. @TfLTrafficNews Any update on when the Woolwich Ferry alarm will be silenced? I live half a mile away down the river and it is very very very loud. 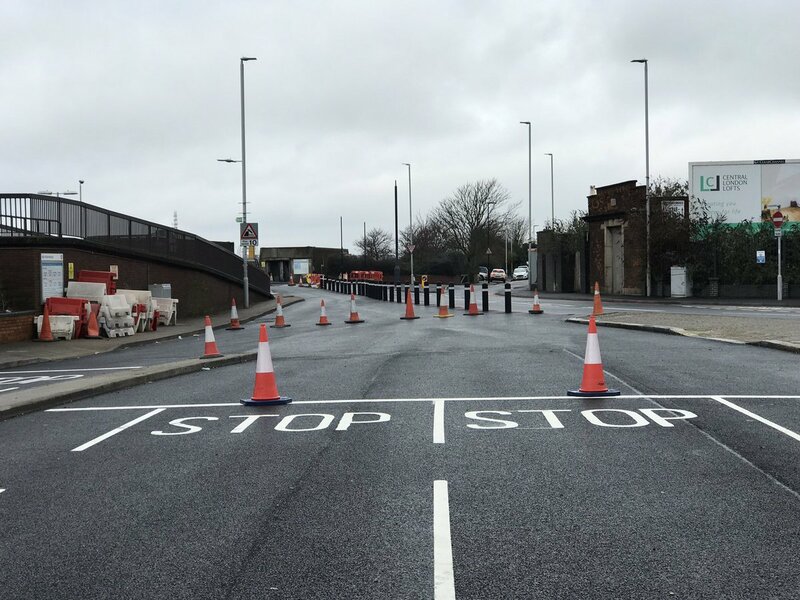 @TfLTrafficNews – What is going on at the Woolwich Ferry? The siren sound has been going all day and it is very disruptive … Any hope of fixing it tonight? Evening Tatiana, we are aware there is a sounding alarm at the Woolwich ferry terminal. We are aiming to resolve this as soon as possible and apologise for any inconvenience. Thanks, Jo. How can it take all day to turn this off? Apparently it was the Dame responsible for making many lives in Woolwich quite unbearable for a whole day. The noise didnt stop until about 10pm at night! Certainly a lot of people must have felt extremely aggrieved by the relentless, yet totally unnecessary din…..
@TfL can you fill us in as to the cause of the 'siren' on the #WoolwichFerry please? If TfL offer any explanation as to how this happened and why no-one seemed able to stop it, details will be posted here. Nevertheless everyone will remember it as the day the Woolwich Ferry did The Scream. A bit Munch to bear when a ferry’s screaming right off the top of the scale!